Suellen has always had a passion for real estate and, like so many of life’s best decisions, what started as a hobby has turned into a successful and rewarding career. Now with more than ten years’ experience, this caring, fun-loving agent and mother of three is as passionate as ever about the needs and goals of her clients. Her reputation for outstanding customer service and achieving ‘great results with little fuss’ has made her many friends throughout the Eastern Suburbs, with an area of expertise around Fullarton and Myrtle Bank where she and her family live. She has also successfully sold properties from the coastal suburb of Hallett Cove to Valley View. Being there for her clients and making the process easy is all part of the award-winning service you can expect from this consummate professional who is always ready to jump in and lend a hand in pursuit of the seamless experience she believes buying and selling should be. Transparent in all her dealings, Suellen listens carefully before tailoring a marketing strategy specific to your needs, using her talent for engaging with potential buyers, expert negotiating skills and attention to detail to get you the best possible price. 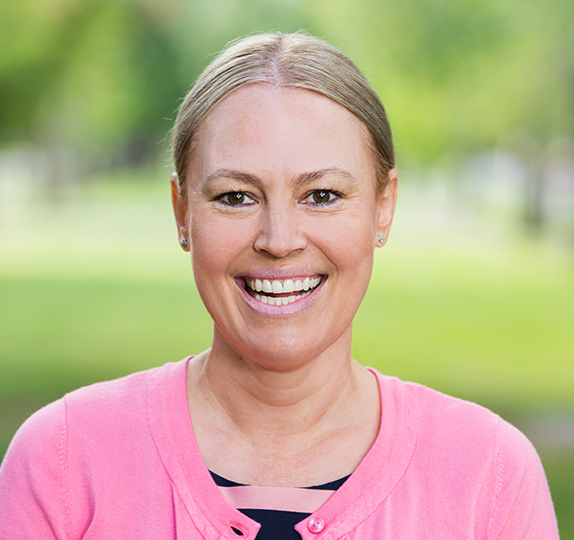 Suellen holds a Diploma in Social Science and enjoys a healthy work/life balance, walking her dog Ted, going to the gym, snow skiing and hanging out with her husband and children. She also loves a chat and looks forward to assisting you with your next property journey. Call Suellen today on 0437 297 267. From the time of our first conversation up until the settlement date, we have continuous communication from the staff at Harris to keep us updated concerning every step to ensure a positive experience for us. I highly recommend Harris Real Estate to anyone. I had only one week in which to sell my property in which Suellen was very open, knowledgeable and efficient. Within five days I had 4 offers for my property and a signed contract. Suellen kept me up to date in every step of the process. The service was amazing. We appreciated the ongoing, personalised support we received from Suellen and the Harris team which helped ease the pressure of selling our home. Thank you to Suellen Salt and Phil Harris and the whole team at Harris for a really positive experience in selling our home. We received excellent service throughout our dealings with Suellen and the Harris team and achieved a fantastic sale result. Suellen was warm and friendly, she always responded promptly to us and communication was excellent in keeping us briefed on the interest in the property. It was great to get written reports following open inspections with a summary of the interest in the property. Suellen made the experience exciting and fun and it was not stressful like previous experiences of selling houses has been for me with a different real estate agency. Our house sold fast, achieving a price above what we expected – can’t get better than that! Suellen was fantastic – we will certainly recommend her to friends and family. We live in Melbourne, so Suellen did most of the legwork for us, making the process as smooth and stress-free as possible. Suellen kept us informed throughout the process – her communication was outstanding. She was very prompt, organised and reliable, and her advice was very sound and practical. The stylist and photographers were prompt and did a great job with the presentation of the property. The house was listed online for 4 days, then sold on the day of the first inspection. Whoever said selling a house was stressful! Thanks Harris – a fantastic service. Suellen was friendly, helpful and accommodating. Suellen was amazing. In contact with us daily, if not more sometimes, during the three week campaign. Followed up all the parties who came to see the house and knew exactly where they were at. Kept us calm. Encouraged us about the process to help us not worry when it looked like not that many people were interested. Did multiple private viewings. Lovely lovely person to deal with and talk to. Super professional and always looked amazing. Just fantastic in every way. She has a lot of experience and really knows what she is doing, especially with the negotiating at the end – we couldn’t believe the result she got for us. And Phil was fantastic at the auction. Just a lovely guy and worked hard and helped get us where we needed to be able to sell the house on the day. Couldn’t recommend Harris highly enough. Thank you for all your advice, support and professionalism in the sale of our unit. You were wonderful. Have told all our friends and family if they need a good real estate person to contact you. The sale and marketing campaign was very professional and we were kept up to date at every stage. They made contact with us after each open inspection which was great. Michael and Suellen are both very personable and I believe that helped us find the right purchaser for our home. We didn’t have to worry about what was happening as they kept us well informed all the time. They were understanding of how difficult it is to sell your home and that sometimes we were very stressed. I would highly recommend them to sell your home. Suellen and Andrea must be the most pleasant, obligated and efficient agents in the business. I highly recommend them as both a vendor and a purchaser. We thoroughly recommend Harris Real Estate to sell your home. We were informed every step of the way and were given honest and realistic information regarding the pricing of our home. We were very happy with the outcome of the sale of our home and would recommend Harris Real Estate. Very professional company and easy to deal with. Suellen was always available to contact and front office personnel friendly and courteous. Documentation received in a timely manner. I had a wonderful experience selling the family home through Harris. Suellen was honest and transparent in her communication from the start of the process. I felt a good connection and valued her suggestions and the fact that she wasn’t ever too persuasive. All the decisions were mine and that was a great feeling. We received excellent service from Harris all the way through: from initial meetings with Suellen to preparation for sale, marketing, admin work and then the sale itself. Suellen kept in contact with us all the way and was wonderful to deal with, and she was clear in her communications and managed our expectations well. Having met with several agents and also now having observed other agents at open inspections, some of whom are far from impressive, I am 100% satisfied that we made the right decision to sell our home through Harris. We had no hesitation in engaging Harris Real Estate to sell our property because of a very positive previous experience – we did not consider using anyone else. From the outset, communication from Phil and Suellen was excellent and very timely. We were guided very professionally through the whole process and consulted appropriately along the way. Because we live in a very remote location, Suellen’s ‘Project Management’of the sale was extraordinarily helpful. This included identification and organisation of contractors to complete maintenance tasks and to ensure the property was presented for sale in the best possible condition. The whole sale process was completed to our utmost satisfaction and a really good result was achieved. We would always recommend Harris Real Estate to anyone considering a real estate transaction. Very good, was able to show us through quickly and was honest with price expectations and always responded quickly. Excellent communication and realistic advice at all times, even when both were under duress health-wise. I just wanted to thank you again for your great work in selling our unit. We were impressed with your dedication, professionalism and your excellent communication which, no doubt, all contributed to our very positive experience. When your selling your house it is so important to trust the people and their process. There was always the honest conversations from the day we started to the day of Auction mixed in with great advice and a calming attitude. Would not hesitate to buy or sell through this team again. Suellen Salt is extremely patient with any concern/issue raised by customer. She is an excellent communicator. She proactively liaise with strata body and repairman for me, which saves me a lot in terms of time and energy. She has a good knowledge of the real estate market as well as what seller needs to do and how to do it. I highly recommend her service. Suellen was fantastic. At all times she was not only the consummate professional but when I experienced a few hiccups she was there to help me deal with issues and made sure that she always had my best interests at front and centre. I can’t speak highly enough of Suellen. I would recommend her in a heartbeat! Suellen Salt and the team were excellent, very professional, and approachable, without making us feel like we were rushed during the process. Our dealings with Harris Real Estate, in particular our agent Suellen Salt Made the process of selling our home an easy experience, we highly recommend Suellen Salt.